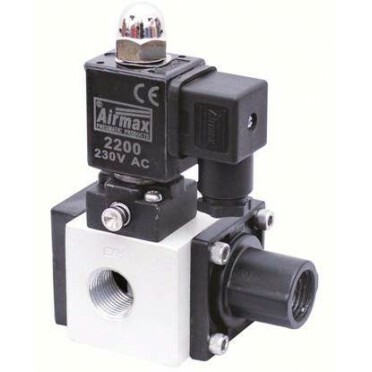 Specifications :Accurate Flow Control Valve 1/8" ASC-06Size : 1/8 Inch.. Specifications :Accurate Flow Control Valve 3/8" ASC-10Size : 3/8 Inch.. Features & Specifications :Model : 2ARMSS - 3Size : 1/4" BSPBody : Aluminum Press. Die CastSeals.. Features & Specifications :Model : 2ARMSS - 3Size : 1/2" BSPBody : Aluminum Press. Die CastSeals.. Features & Specifications :Model : 2ARMSS-5Size : 1/4"Body : Aluminum Press. Die CastSeals : Nit..